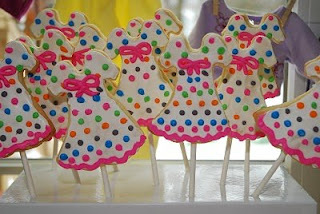 Laura writes, "My soon to be eight year old would love to have an American Girl Birthday Party. Do you have any ideas or supplies or anything that would help me plan and carry this through? I need help, as I'm not creatively inclined! Thanks!" Laura- check out Princess and the Frog's recent doll birthday party (pictured above). Any other ideas, readers? The American Girl magazine features several party ideas. Our public library has several back-issues on hand - maybe you can look there too. Also - Michael's craft stores has an entire American Girl crafting section (stickers, papers, easy-premade crafts, etc.) There might be something there to help you out. And the American Girl has pre-made party kits. Why not have a look there and copy ideas which you can DIY. One of my favorite books as a child was "The Best Loved Doll". (It's an old book...my copy was a hand-me-down from the 1960s, but you can get a new one from amazon). The main character went to a party for girls and their dolls and there were prizes for "the best dressed", etc. Here is an American Girl Mystery Party that I had for my daughter.